Todtnauberg is located in the southern Black Forest at an elevation of 1021 metres on the southwest flank of the Feldberg (1493m). 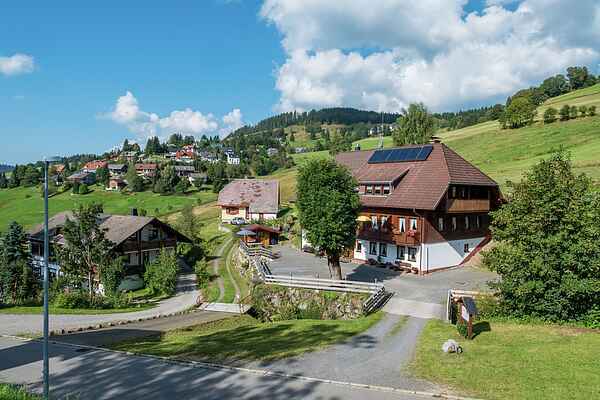 The village has received the honour of being a mountain resort and is one of the most well known spa resorts in the Black Forest. Here you will spend your holiday in this lovely holiday home with space for two persons. The house is in a quiet location, an ideal base for walkers and winter sports enthusiasts. Enjoy the free view of the mountains and valleys. Leave noise and stress behind you in the valley. There are numerous excursion options due to the favourable location: Basel, Colmar, Feldberg, Titisee, St. Blasien with cathedral or the city of Freiburg are only a few examples. The Konus Card included in the tourist tax offers you free travel with the train and bus throughout the Black Forest.